Interactive reports that hold short-attention spans online are the holy grail for web editors. Loc Dao, an executive producer and creative technologist at the National Film Board of Canada’s digital studio, has come up with a few recipes for success. 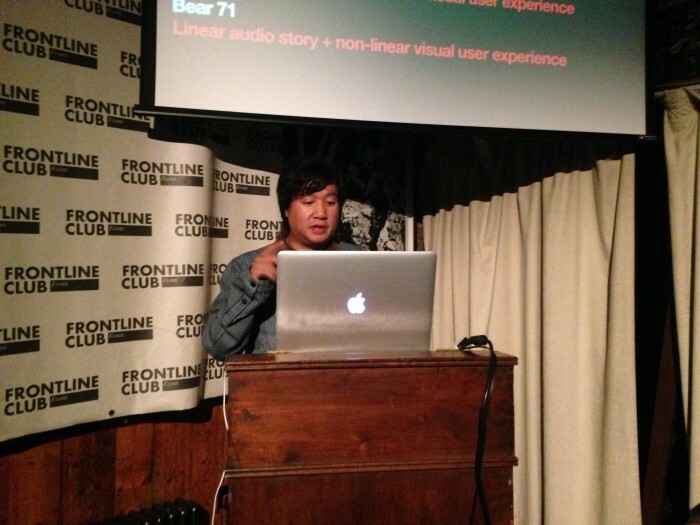 At the Frontline Club on Wednesday 8 October, Dao shared the lessons learned on the road to brilliant projects like the NFB’s Seven Digital Deadly Sins partnership with The Guardian in June, and Bear 71, which challenged the nature of the medium with its mash of video, gaming technology and interactive installation at its 2012 Sundance Film Festival debut. In conversation with his collaborator at The Guardian, Lindsay Poulton, a producer in the paper’s Special Projects, Multimedia division, and Janine Steele, Operations Manager at the NFB, Dao discussed how there’s still much to explore as technology opens up the merger of video, photojournalism, animation and multiple other forms to push the bounds of interactive storytelling. Helping produce 630 interactive stories in three years at the Canadian Broadcast Company’s innovative Radio 3 division in the early 2000s, Dao staked out the vanguard of interactive reportage. These lessons have held true in the blend of photo essay, soundscape and interactive animation of The Last Hunt, the NFB’s first photo essay created for the iPad’s touch interface and gyroscope. With the launch of Bear 71, which followed the life a grizzly bear and her cubs through motion-sensitive cameras as they came in contact with humans, Dao believes his team struck on a new medium: the “interactive documentary”. “We were really interested in working with the NFB because they’re . . . at the forefront,” said Poulton, of the Seven Digital Deadly Sins partnership with The Guardian, which pushed forward the notion of ‘interactive documentary’ when it launched in June. “The videos pull you into the project,” Dao said of the interplay of seven short segments filmed with characters like Bill Bailey tied to data journalism and first-person narrative writing which document the negative side of behaviour online. With equal experiences on desktop, smartphone or tablet, the project became a living documentary that continues to collect data through its shareable polls. It was spread through short video snippets on Vine and Twitter and has so far attracted 315,000 unique visitors and 30,000 shares from 218 countries. The reason for its success, said Steele, wasn’t the technology, but the stories it told. 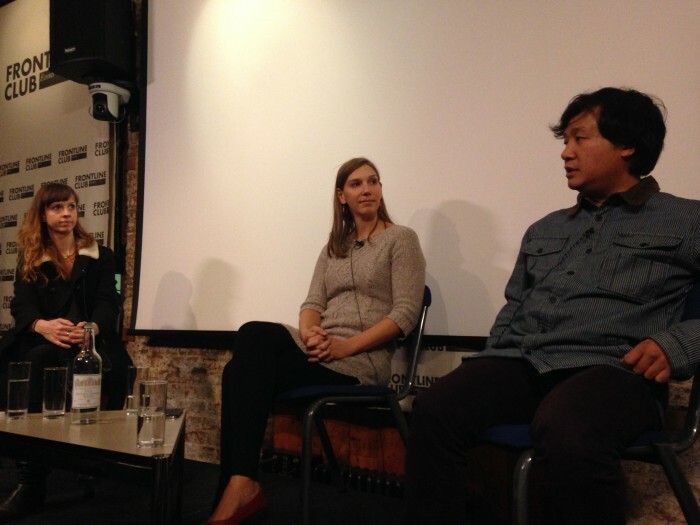 Do check out NFB's interactive documentaries: https://t.co/Mt4WGgT57Z Thanks for great talk @locdao @frontlineclub yesterday. Inspiration!